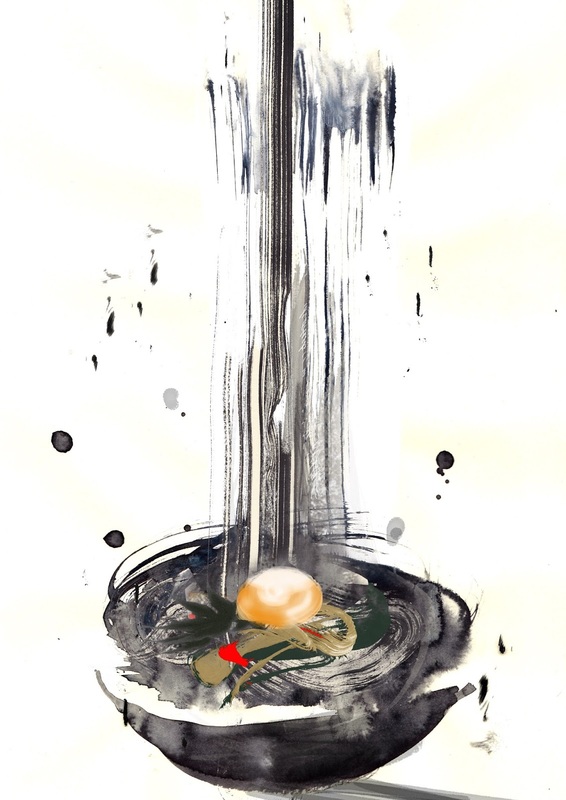 With a single brush stroke I wanted to express the cool feeling of somen noodles. To paint this single brushstroke, I couldn't lift the brush from the paper at all. I had to hold my breath and paint steadily and it took a lot of concentration. 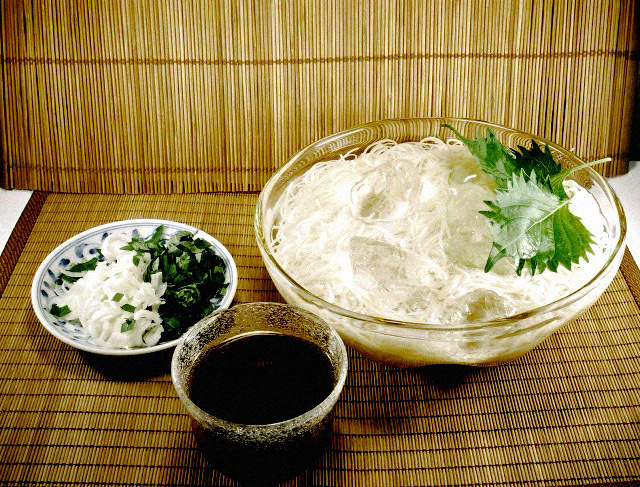 For Japanese, somen noodles are a representative summer food. They're a great light dish to eat when you feel lethargic and lose your apetitte during the long, hot Japanese summers. For extra nutrition, it's common to eat somen with various topings. Depending on the household, restaurant or region, these toppings include sliced onion, cucumber, stewed meat and various other vegetables which all add to the cool taste.